I have a lot of books to read. The tower is almost 4 feet tall. I measured. It consists of Book Swap books, books I need to read and review for the Ledger, and books that lovely publicists and publishers and authors send me to read and review on my blog. There are a few stragglers from my BEA freebies in there too. 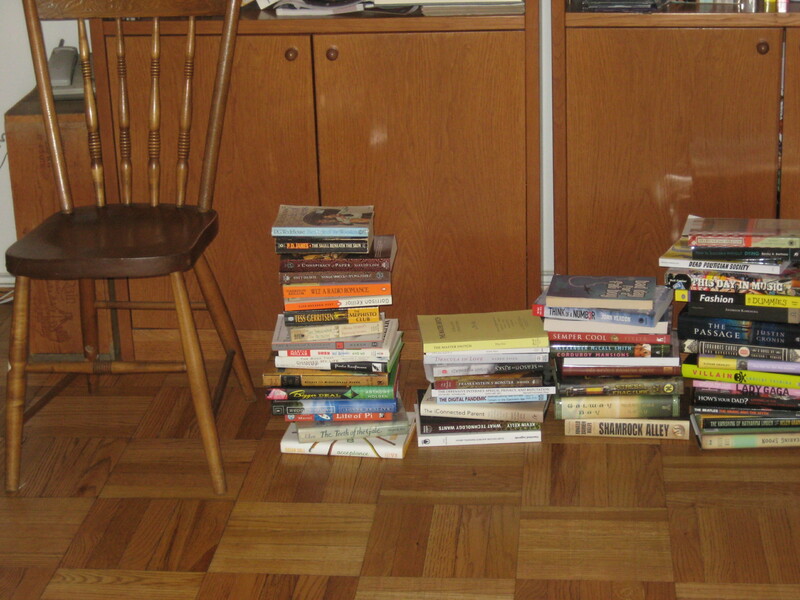 However, if we break it down into piles by source/purpose, it is less intimidating. And less likely to fall over unsupported. Book Swap Haul: 11. I already read one. To Be Reviewed for the Ledger: 10 unread. I’ve already read two, and need to write the reviews. BEA freebies: 9, including two giant chunksters. I thought there were more! Go me! Sent by publicists and publishers: 13 lovely books! Thank you nice people who send me free books! Please kee sending me interesting books, despite the massiveness of this tower of books. 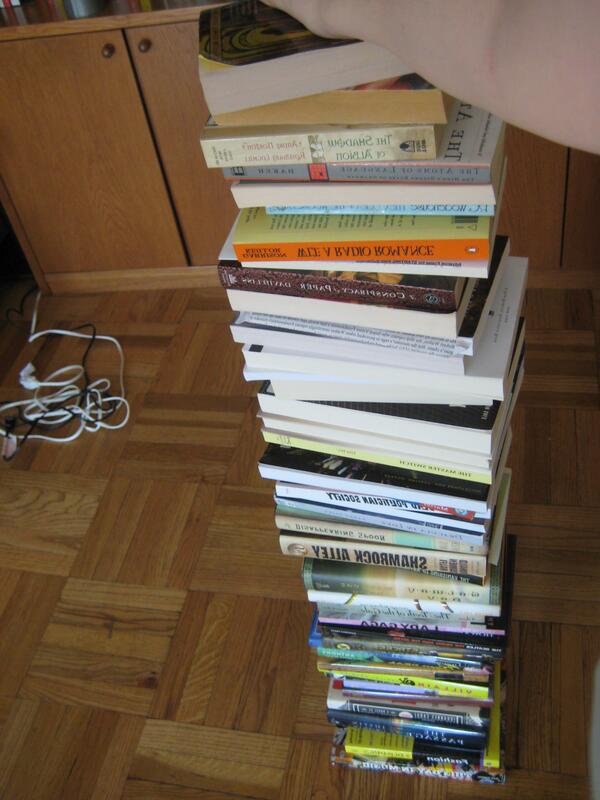 L to R: Book swap, Ledger, BEA, Sent books. typical dining room chair for scale. Broken down by type and source, these books are not so overwhelming.